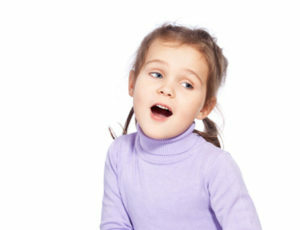 Articulation Disorders – difficulty making speech sounds correctly and/or weakness in the muscles of articulation. Stuttering – an interruption in the rhythm and flow of speech. Voice Disorders – problems with vocal pitch, quality, or loudness; excessive muscle tension associated with voice, or vocal cord paralysis or weakness. Also the voice problems associated with neurological conditions such as Parkinson’s Disease. Myofunctional Disorders – involving tongue thrust, reverse swallow, and associated speech and orthodontic problems. At the Center, a licensed and certified speech-language pathologist evaluates you or your child’s particular communication needs, and designs an individualized treatment program. Specific, easy-to-understand instructions for home practice are provided, either audio-recorded or on handouts.